Patrick Harrison joined National Trade Productions in August of 2009 and currently serves as the Vice President of IT and Chief Data Protection Officer. In this capacity, he has corporate-wide responsibility for the information technology environment, leading and working with a broad range of departments and vendors in the ongoing planning and implementation of information technologies that support NTP’s core missions. 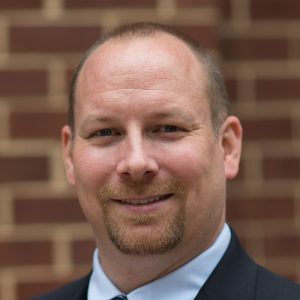 Prior to joining NTP, Patrick spent 14 years managing a variety of systems including several government projects over a 4 year tenure at Booz Allen. He was part of the administration team responsible to implement and manage E*Trade’s ATM network and also managed the Verizon FiOS’ Eastern Content Management Datacenter. Patrick’s strengths are displayed in his ability to maintain corporate operations, implement new systems and integrate diverse platforms to allow the corporate process to thrive. Patrick has always been very active in supporting national, state and local collaboration for information technology initiatives, and maintains a presence among several peer and user groups. Though most of Patrick’s formal education was completed at the University of Lethbridge, he now focuses on continued training in the areas of emerging technology and on-going process review. How many countries you have traveled to? What other languages do you speak, besides English? What movie have you watched more than 10 times?